Trump’s remarks last month on immigration policy and limiting the number of immigrants from “sh*thole countries” in favor of immigrants from countries like Norway drew outrage across the nation. My parents were born in Haiti and emigrated to the United States when they were teenagers in the late seventies during the dictatorship of Duvalier. I am a proud Haitian- American woman. Trump’s comments got me thinking about the stories we tell and the power they have to either uplift or exploit communities of people. During our training for InterAction, we always begin our sessions with a quote from Chimamanda Adichie’s famous TedTalk, Danger of a Single Story. In the quote, she warns us that stories have the power to “malign and dispossess” and that they can “break the dignity of a people.” So, how might Trump’s comments be considered dangerous as Chimamanda warns us? Trump was reiterating a narrative fueled by negative assumptions, stereotypes, and images about Black people, and in this case, specifically, Haitian people. But, these negative assumptions are not just held by one person or a small extremist group. They are reinforced in the images all of us see in the media, the news, and mainstream culture. The narrative quickly categorizes Haiti as a “less than” country and implies inferiority due to their culture and identity. Further, these comments are dangerous because they have consequences. The comment wasn’t made off hand at a dinner or the home, although neither of those instances should also go unaddressed. The comment was made in the White House, during a discussion about where our country would be headed in terms of immigration policy. These pervasive narratives can inform bias, and our bias informs our decisions. Those in power must recognize how the stories they have been told shape their thinking and can prohibit them from making decisions that benefit some and not all. On the most personal level, these stories harm communities not just in terms of access and opportunities, but also in terms of how they view themselves. A harmful narrative that says Haitian immigrants don’t “work as hard” or “don’t contribute to society” sends a signal that can be internalized leading to physiological and emotional stress. 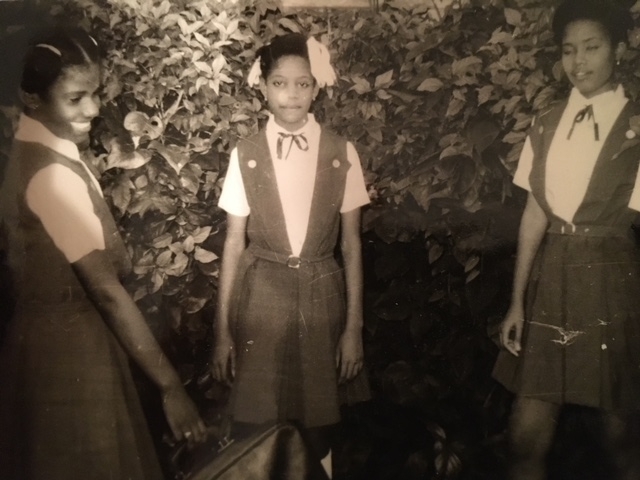 A photo of my mother, Carmelite, (middle) and her two older sisters in their school uniforms in Port-au-Prince, Haiti. The second part of Chimamanda’s message in “Danger of a Single Story” was that stories also have the power to “empower” and “humanize.” In the aftermath of the outrage, one positive outcome was the countless “counter-stories” that came from the affected communities. Thousands of Haitians, Nigerians, El Salvadorians and other proud immigrants shared their stories that challenged the notions that their countries lacked beauty, innovation, and worth. Our stories humanized and empowered our people. After I talked with my family about how angry I was at the comments, I then began to remember the countless counter stories I have and hold. 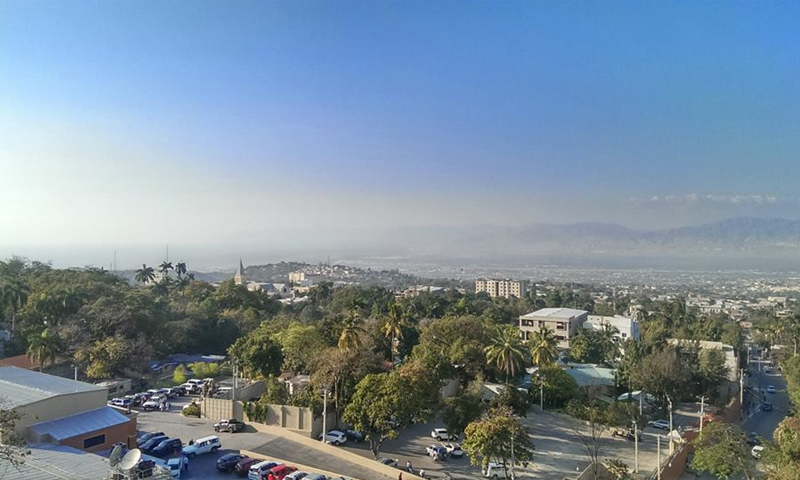 I thought back to the first time I visited Haiti in 2014 and how overwhelming of a coming home experience it was for me. I thought back to the countless stories of my mother and father and the joyful glee from their faces as they recounted their school days. I found the connection with the many stories of my peers who are also children of immigrants, proud of their heritage. When I listened to those stories, it brought back my pride and restores my sense of identity. In our day today, it isn’t the counter-stories that have the main stage. Rather, it’s comments such as Trump’s that erase the human dignity of whole peoples–comments that are rooted in bias and prejudice. When these dangerous stories about marginalized communities go unchallenged, they perpetuate the status quo. They allow for the continuation of exploitation of communities of color, the poor, and the vulnerable. Unjust policies persist. If we truly want justice, then we must be critical of the stories around us. We cannot truly understand our stories, like the story of Haiti, without analyzing and recognizing the roles of power, racism, sexism, colonization, and other forms of oppression play on our everyday lives. It has for certain played a role in Haiti’s present and its future. 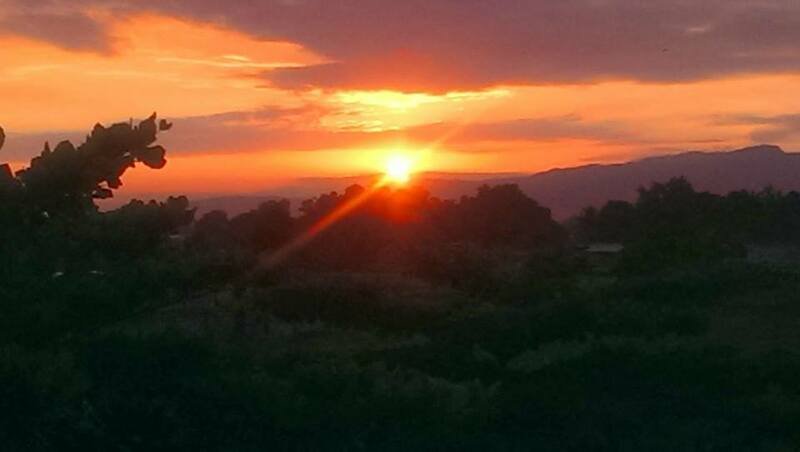 Sunset in Leogane, Haiti at the Notre Dame Residence Filariose. What we can learn from this moment is to continue to ask ourselves: Who is telling the story? Whose story are they telling? Who should be telling the story? Who is in power? How can I be open and listen to the stories I have been blind to? And finally, we need to continue to center ourselves and take ownership of our stories. Let’s share them as much as we can. Build platforms for counter-stories to be cultivated, shared, and digested. Support and validate one another in our storytelling.